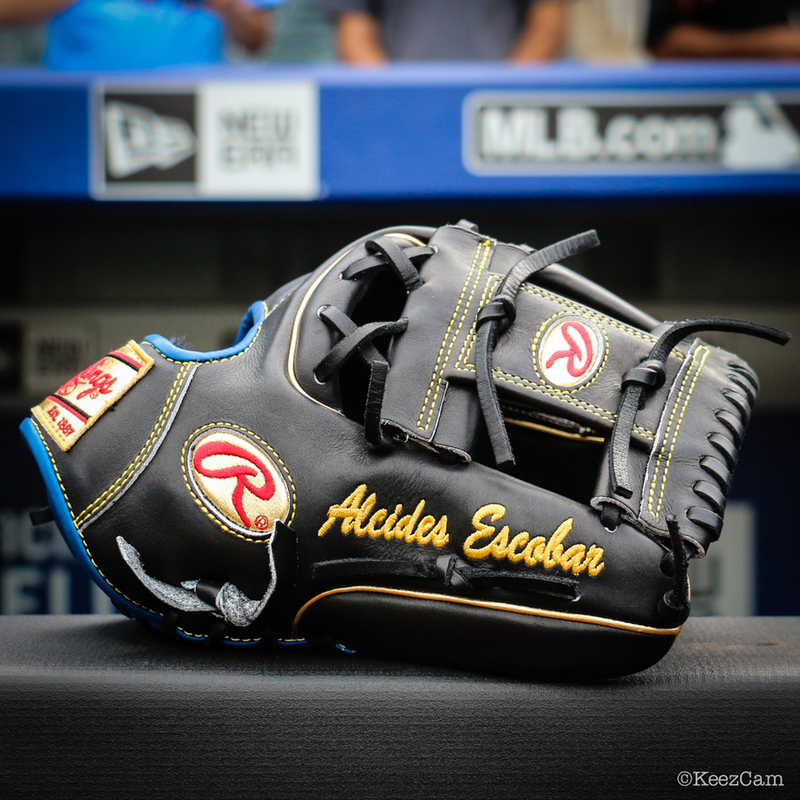 Escobar’s black, metallic gold, and royal Rawlings glove is one of the most beautiful pieces we’ve laid eyes on. He put a mesh back on it, which is not available on the custom builder. You can’t get the gold labels either. We have to thank Rawlings for adding metallic gold to the custom builder, so you can get a pretty fantastic alternative at the link. 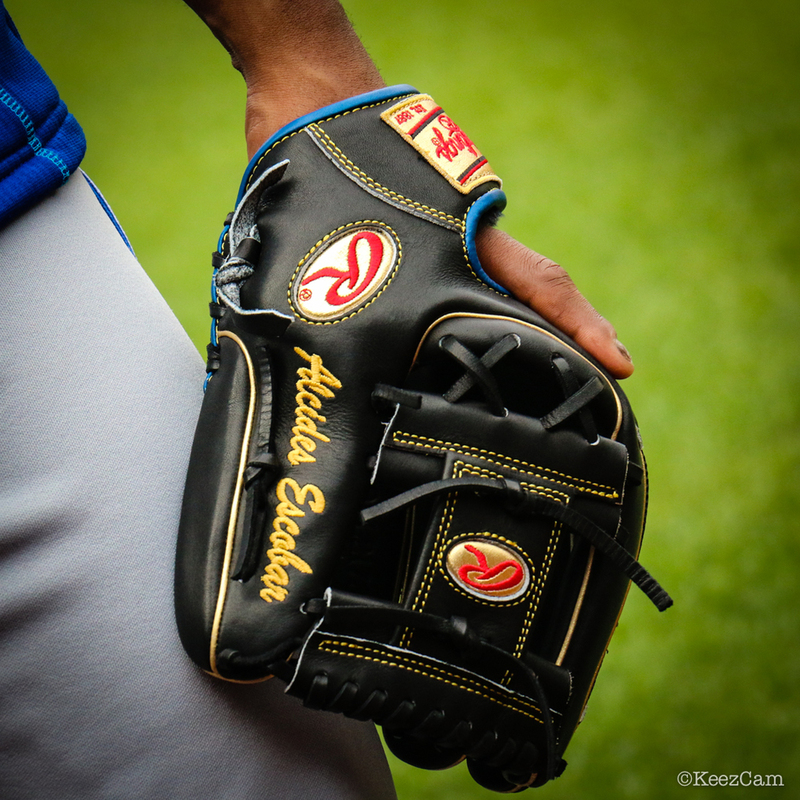 Categories: Alcides Escobar, Gear, Kansas City Royals, Glove, Shortstop.